Here at Loveable Smiles in Richardson, TX, we treat people, not teeth. We love and care deeply for our patients, our team, and our profession. 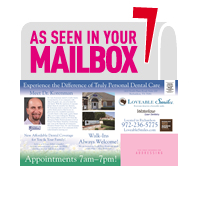 It is our sincere objective to provide you with the best dental experience you have ever had! We are the only dental office to have received the North Texas Business Ethics award from the Dallas Business Journal. 1. Sedation – Some patients need sedation. At Loveable Smiles we can arrange for you to use Nitrous oxide, which is a safe and effective mild sedative to help you relax. Ultimately, you will feel calm and comfortable. Other patients may require a stronger sedative as they are extremely anxious and fearful. Whatever your needs are we can accommodate you. 2. Faster Healing with Laser Technology – Dr. Korenman is a part of the very small percentage of dentists (only 1%) who have invested in laser technology. This technology helps you heal faster after your dental procedures by treating dental infections, killing bacteria, regenerating gum tissue and catching cavities before they appear. 3. Massage – We massage your jaws after a dental procedure so that your muscles aren’t sore. 4. Reversing the Anesthesia – We use a “reversal agent” to eliminate the numbing effects of the anesthetic so that you can go about your day, eating and speaking without having a numb mouth.